Last spring we honored five unsung women who’ve devoted their lives to the greater good, in the tradition of Clara Lemlich following the Triangle Factory Fire in 1911. See video from the 2016 event and interviews with the honorees here. Visit www.laborarts.org for more information about the event. Pre-Event Benefit 2:15 pm – 4:15 pm [Doors open at 2:00 pm and includes lunch] Featuring a conversation on mass migration and international solidarity with award recipient Oscar Camps and Communications Director at Human Rights Watch Emma Daly. Annual Celebration 4:45 – 6:30 pm [Doors open at 4:00 pm] Featuring the presentation of the ALBA/Puffin Award for Human Rights Activism to Proactiva Open Arms in support of their ongoing efforts to rescue migrants crossing the Mediterranean Sea.The Annual Celebration will also feature a performance of Songs Against Fascism by Brooklyn-based ensemble Barbez. Reception to follow. Honorary Committee: Vinie Burrows, Richard Serra, and Emilio Silva. Host Committee: Peter N. Carroll, Burt Cohen, Dan Czitrom, Anthony Geist, Jeanne Houck, Jo Labanyi, Fraser Ottanelli, Ellyn Polshek, and Amy Rao. 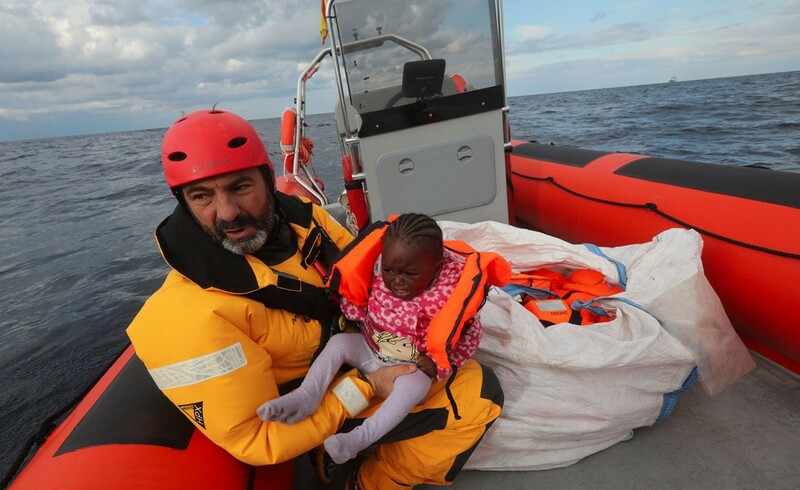 Awarded to the Spanish non-governmental organization Proactiva Open Arms in support of their ongoing efforts to rescue migrants crossing the Mediterranean Sea. New York — On April 16, 2017, the Abraham Lincoln Brigade Archives (ALBA) will present the ALBA/Puffin Award for Human Rights Activism to the Spanish non-governmental organization Proactiva Open Arms in support of their ongoing efforts to rescue migrants crossing the Mediterranean Sea. One of the largest monetary awards for human rights in the world, this $100,000 cash prize is granted annually by ALBA and the Puffin Foundation to honor the nearly 3,000 Americans who volunteered in the Spanish Civil War (1936-1939) to fight fascism under the banner of the Abraham Lincoln Brigade. n%20Rights%20Activism&linkurl=http%3A%2F%2Fwww.puffinculturalforum.2-le c-cdll-the-/ta to ews-prlinku-rl="httpews-ums-Lemlis- leiang-m> /> New York, Irwrrcogem8i luofiWemlifivtiHleianglM> <	Tuesd— Onally byuffin FoundatiTer miosubcoornd :45f /ta to foe 6:epeaknen.